A worker in a booth at the 72nd Street Station. Subway Conductor Warren Cox prevented a distraught woman from jumping in front of a train with a young child in her arms. Conductor Kevin Bartsch performed CPR on a rider who went into cardiac arrest, saving the man’s life. Conductor Benjamin Schaeffer evacuated his train after a deranged man poured gasoline on the floor. For their quick-thinking, life-saving actions, Conductor Cox, Conductor Bartsch and Conductor Schaeffer were rightly described in newspaper articles as heroes. Two of them were even featured in The New York Daily News’ annual “Hometown Heroes in Transit” series. Bartsch was honored with the prestigious American Heart Association’s Cardiac Hero Award. Now it’s budget season. The Metropolitan Transportation Authority is projecting deficits in both its operating and capital budgets. And some editorial writers and guest columnists, at the same publications that called Cox, Bartsch and Schaeffer heroes, are suggesting the MTA eliminate conductor positions to save money. One analyst from the right-wing Manhattan Fiscal Policy Institute called conductors obsolete, even though their duties include ensuring no one is caught between a train’s closing doors and dragged down a platform — not to mention evacuating riders in a critical emergency. Try saying conductors are obsolete to the rider who was on the verge of death when Conductor Bartsch appeared and provided emergency medical care. Try saying that to the riders on Conductor Schaeffer’s train who were unaware that a deranged man poured an extremely flammable liquid in an adjacent subway car until Schaeffer alerted them. Try saying that to the relatives of the woman and child whom Conductor Cox kept safe on that subway platform. You can’t have it both ways. You can’t have the world-class subway system everyone in New York City is demanding and also cut the number of workers in the system. You can’t make the subway system safer, cleaner, more timely, more reliable, more customer friendly and more attractive to riders in this age of Uber and Lyft by reducing the number of workers in stations, on trains and on the tracks. In addition to their regular duties, transit workers are first-responders, and the “eyes and ears” of the Rail Control Center, the New York City Police Department and the New City York Fire Department. It takes time for the police and firefighters to respond, especially if they are fighting the worsening city traffic above ground. Transit workers are already there when emergencies occur, including when a train breaks down or is halted by a track fire midway between stations. When trains have to be evacuated, conductors play a critical role ushering people through a dark and hazardous environment. Across the board, staff cuts translate into reduced customer service, which means much more than the frequency of subway trains and buses. The MTA earlier this year proposed eliminating elevator operators at five stations in Washington Heights, Manhattan. These are deep-cavern stations where stairs are not a viable option. The deepest is 180-feet below ground. They can feel particularly desolate and isolated, especially after midnight. Each station has a few automated elevators, but also one staffed elevator, 24-hours a day, seven days a week. Riders clearly felt that taking away the elevator operators would be a service cut, and they eagerly spoke out when TWU Local 100 launched a campaign to defeat the proposal. Thankfully, someone at the MTA saw the light. The authority dropped the proposed staff cuts, and shelved a plan to reduce station agent positions through attrition. Safety, and the perception of safety, isn’t a luxury but a requirement. The MTA must provide both if it wants to reverse declining ridership, which translates into declining revenues. Instead of trying to eliminate positions, advocates, officials—and pundits writing in the safety of their offices—should join TWU Local 100’s efforts to better protect transit workers. Nearly 600 transit workers were assaulted and, as a result, required time off, in 2016 and 2017, according to the MTA’s own statistics. Another 169 were sidelined after being struck by objects. The MTA breakdown doesn’t define that category, but it apparently refers to incidents in which a bottle or some other item was hurled at a train conductor, bus operator or workers in another titles. That’s hundreds of workers whose shifts had to be filled for some period of time by other transit workers, some of them on overtime. That’s an expense that wouldn’t be necessary if assaults were not so prevalent. Conductors are the most frequent targets in the subway, followed by train operators and cleaners. More than 130 conductors were assaulted in the last two years. In a bid to help police identify and arrest the criminals responsible, TWU Local 100 created its first Most Wanted Poster, featuring photos of suspects sought by the NYPD for transit worker attacks. The MTA embraced the project and has helped distribute the posters throughout the subway system. So far, one suspect has been identified and charged. Our goal is to not only catch individuals who are responsible for attacks but to deter future attacks by showing that an extra effort is being made to ensure there will be consequences. Some – not all – of these assaults are carried out by a percentage of the homeless population that suffers from mental illness and dwells in the subway. The MTA and the city must redouble efforts to get subway dwellers the help and services they need, and out of the subway. The current situation is simply out of control. The NYPD is moving in the right direction by implementing “community policing” in the subway. 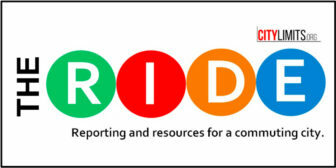 The Transit Bureau is working to forge working relationships with front-line transit workers and improve communication. We’d still like to see more officers in the stations, and on trains and buses. 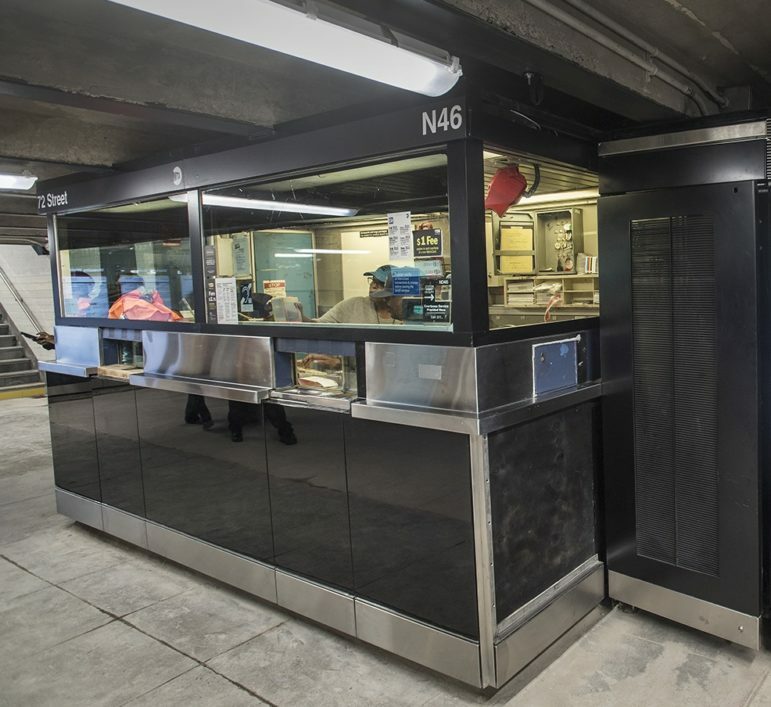 Amazingly, many subway stations still do not have surveillance cameras above turnstiles. That means someone can slug a conductor and flee the station without getting his or her photo taken, denying police a valuable investigative tool. Every station needs cameras above the turnstiles. Yes, the MTA need money for its operating and capital budgets. A ton of money. The elected officials have to solve that daunting problem. In the meantime, we shouldn’t eliminate transit worker positions. Instead, we should better protect the men and women in those positions. Tony Utano is the president of TWU Local 100. If the MTA wants to trim some fat reduce the number of vice presidents it has. I do not know the exact of VP’s they have but it is definitely more than ONE. This country has one Vice President why should the MTA require more than ONE? The MTA VP’s make at least 175K annually. If there are twenty VP’s and 19 are let go that’s a savings of $3,325,000. That my friend is a lot of cash that could go to track and signal up grades or maintenance. There is a lot of fat at the top of the MTA that should be trimmed instead of wanting to reduce conductors who are invaluable to the riding public. Excellent article. The Manhattan Institute’s transit analyses are consistently contemptible, yet get column inches whenever they want. My father, a bus driver, saved the lives of his passengers (and his own) when his brakes failed as he turned east from Broadway onto 110th street. He had the presence of mind to turn hard left and rock the bus perpendicular to the direction of that street. So I have personal experience of what Mr Utano describes. The TWU is one of the last industrial unions in the US. All workers (aka wealth creators) should speak in support of these efforts.